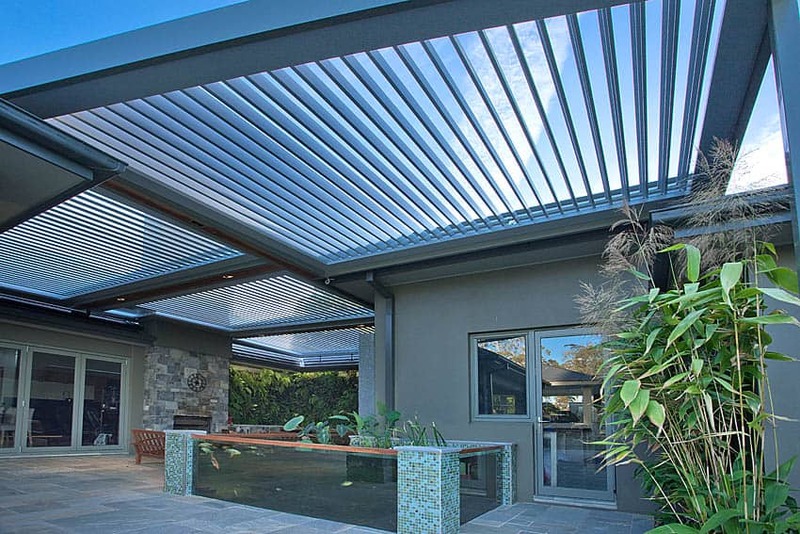 A stylish and effective aluminium louvre roof. 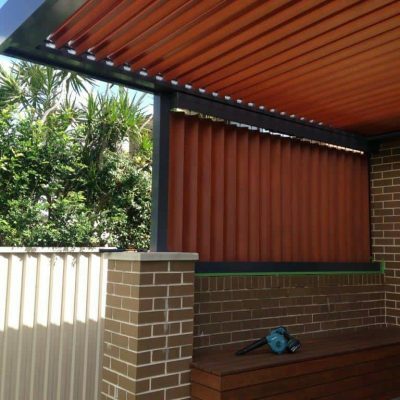 Enjoy your outdoor area rain, hail or shine. 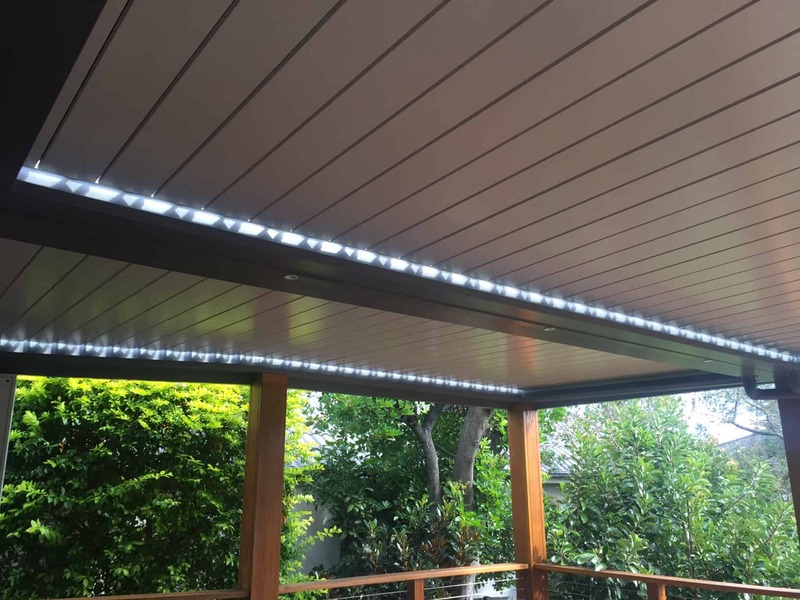 The Eclipse Alfresco Opening Roof looks like a clean, sleek flat roof when closed but with the flexibility of an open roof. 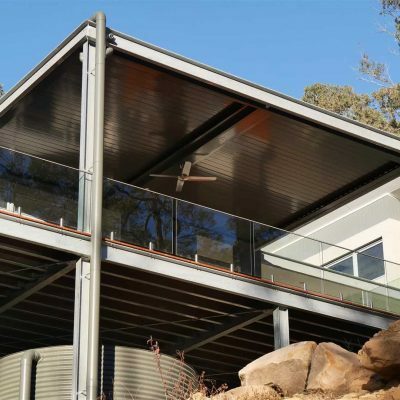 The flat louvre roof is ideal for balconies, patio areas and pool decks. 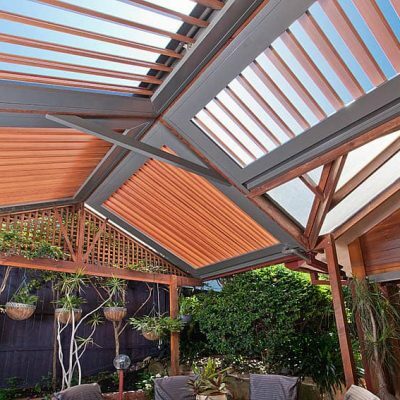 For large entertaining areas, you can build in multiple sections to get the design and functionality you desire. 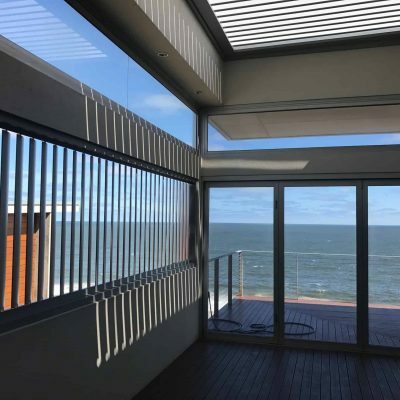 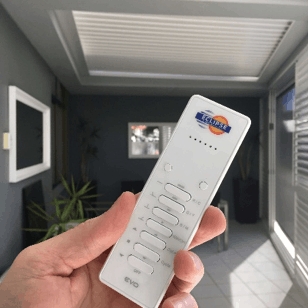 This is an all-weather louvre system, with the almost 180-degree rotation giving you complete control over the level of sunlight, shade and ventilation at the touch of a button. 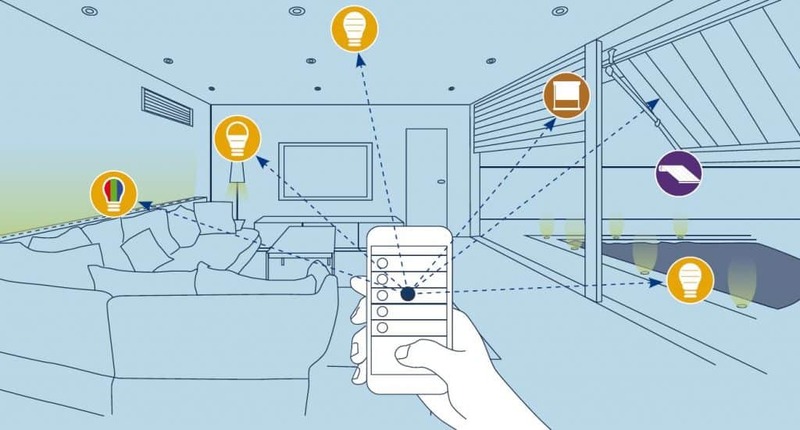 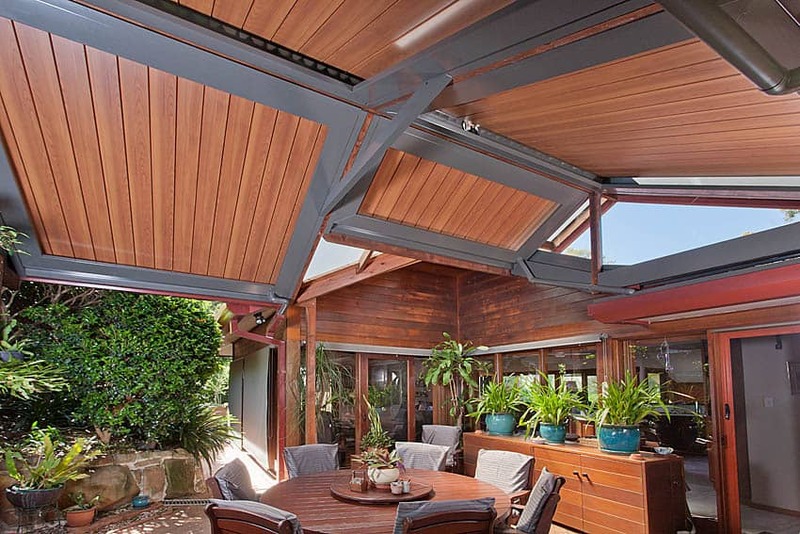 In summer, interior rooms are shaded from the heat, which will reduce cooling costs. 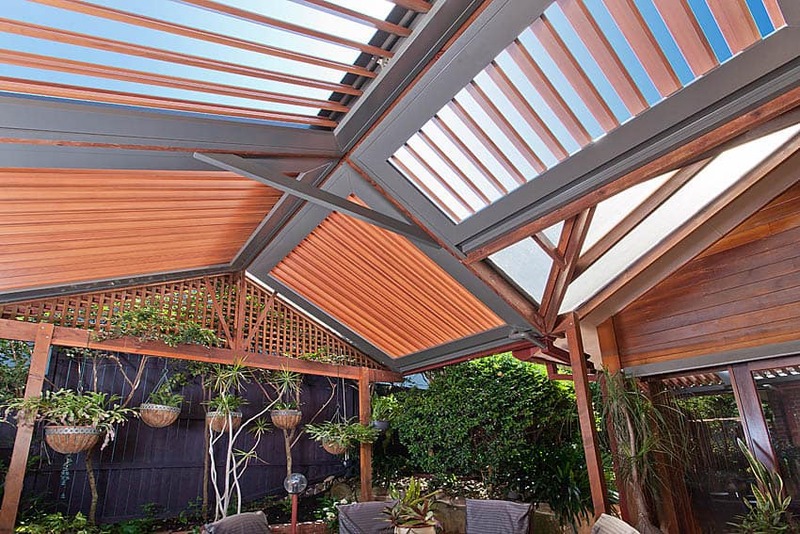 Barbeque smoke can easily be ventilated through the louvres. 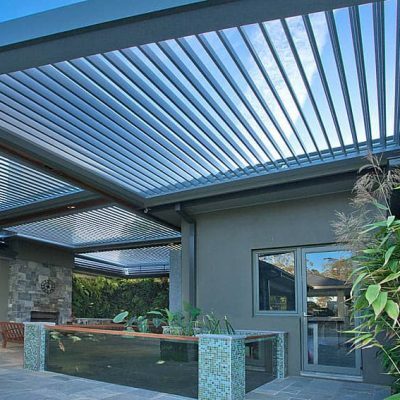 In winter, roof louvres can be angled to reflect light into adjoining rooms, so they’re filled with natural light and warmth. 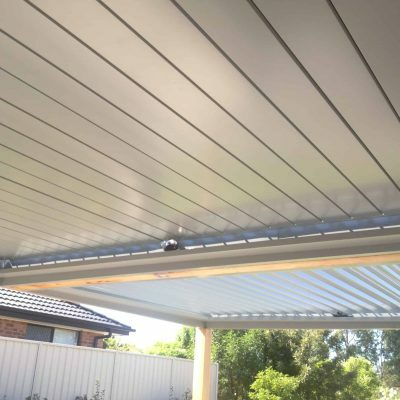 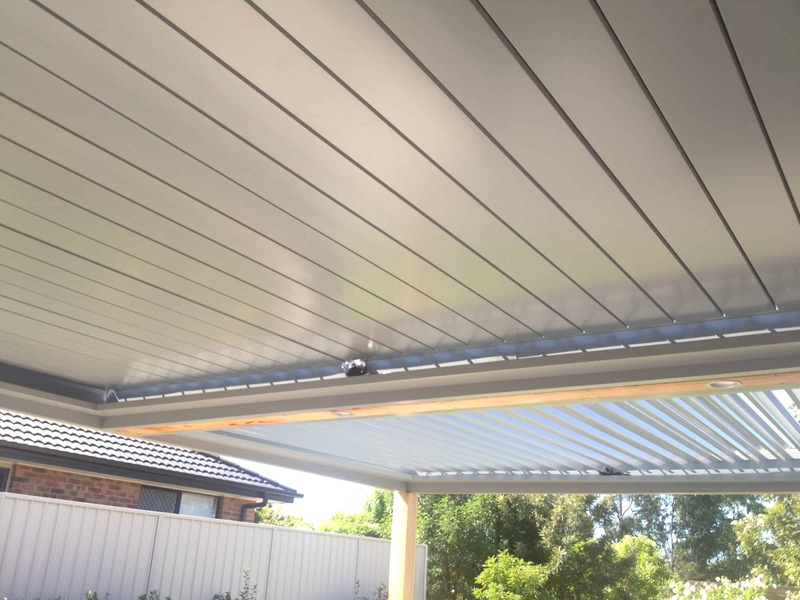 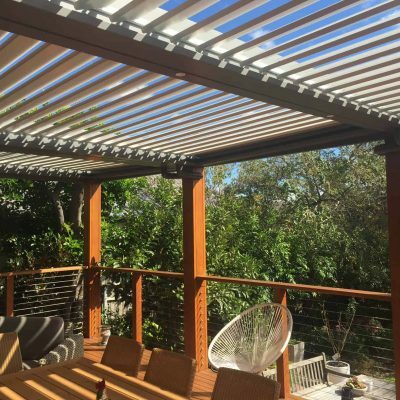 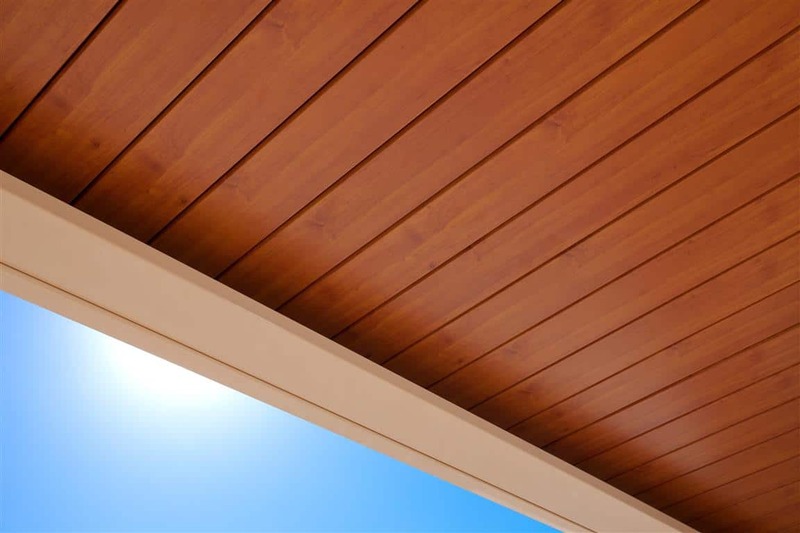 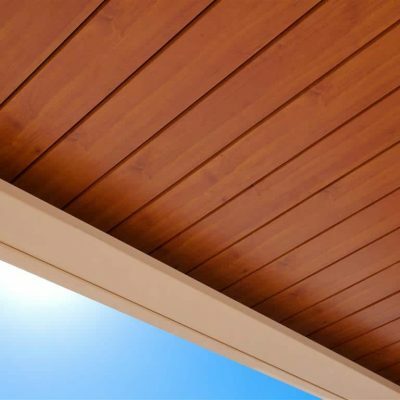 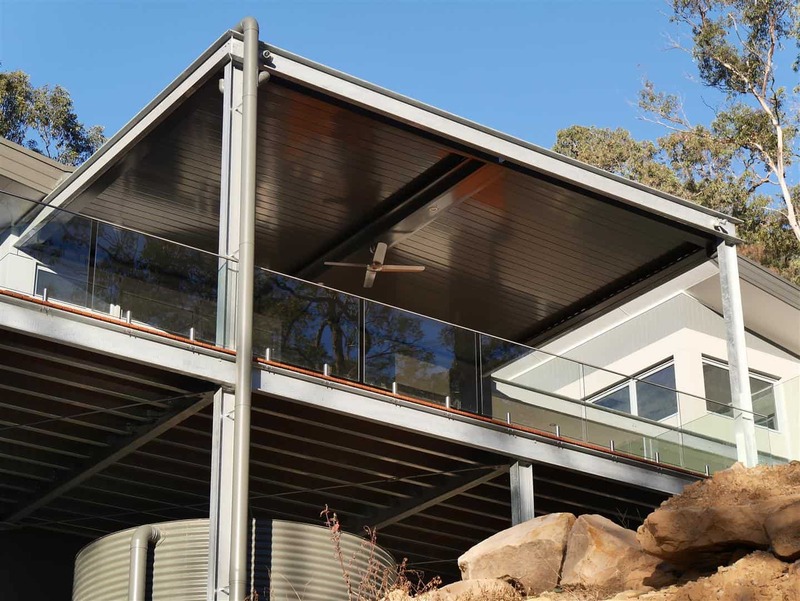 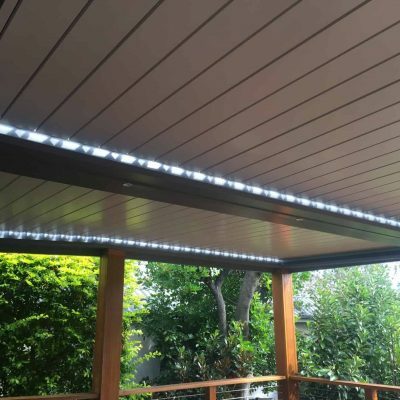 You can close the roof louvres for total protection in the rain, and the deep gutter system will channel water away from your house, allowing you to enjoy your outdoor entertaining area regardless of weather conditions. 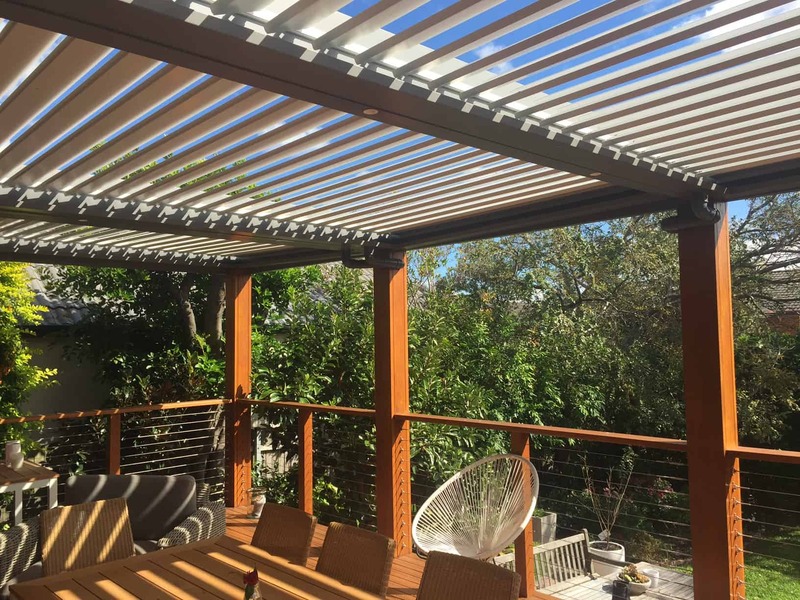 Loving the new opening roof over my kitchen deck. 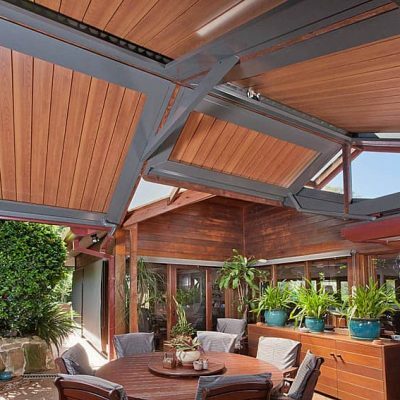 A perfect spot for quiet cuppas with the birds for company. 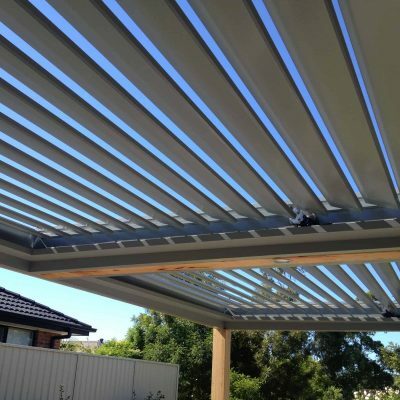 Great job HV Aluminium! 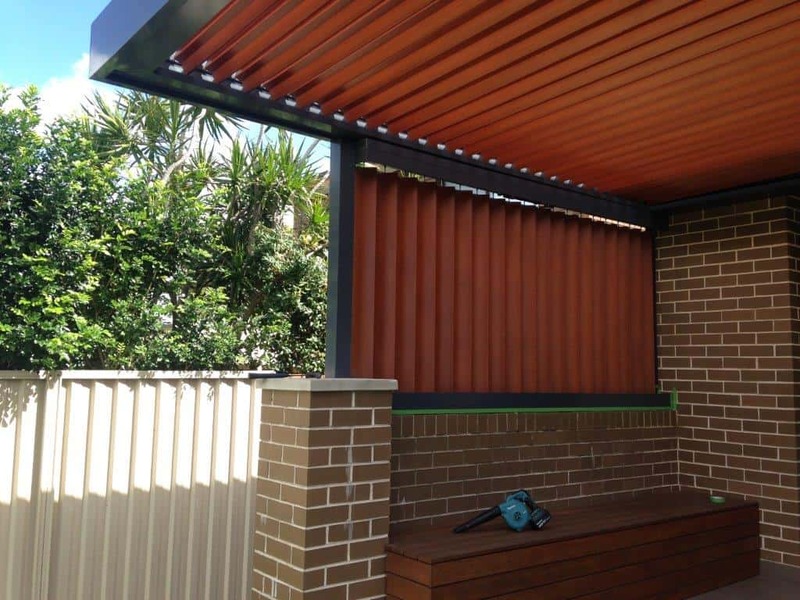 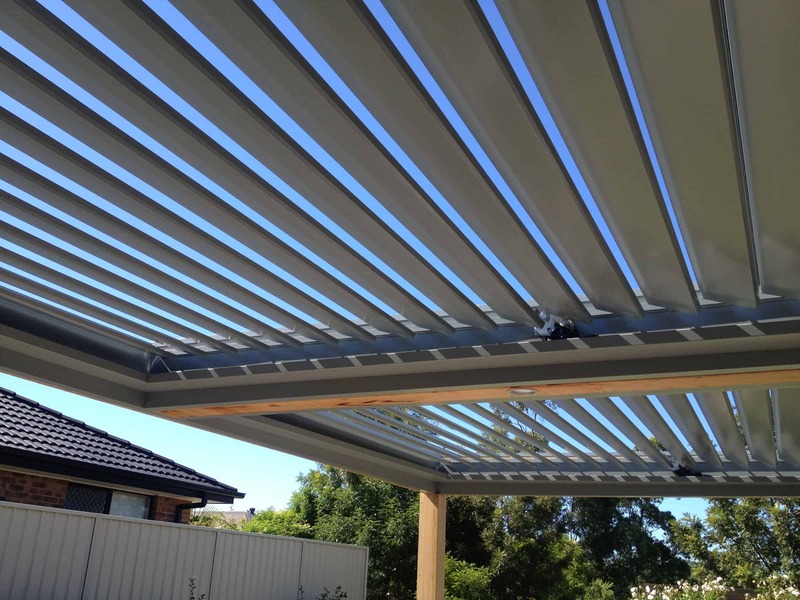 Your louvre roof can be flat, pitched, curved, angular or used vertically as a privacy screen. 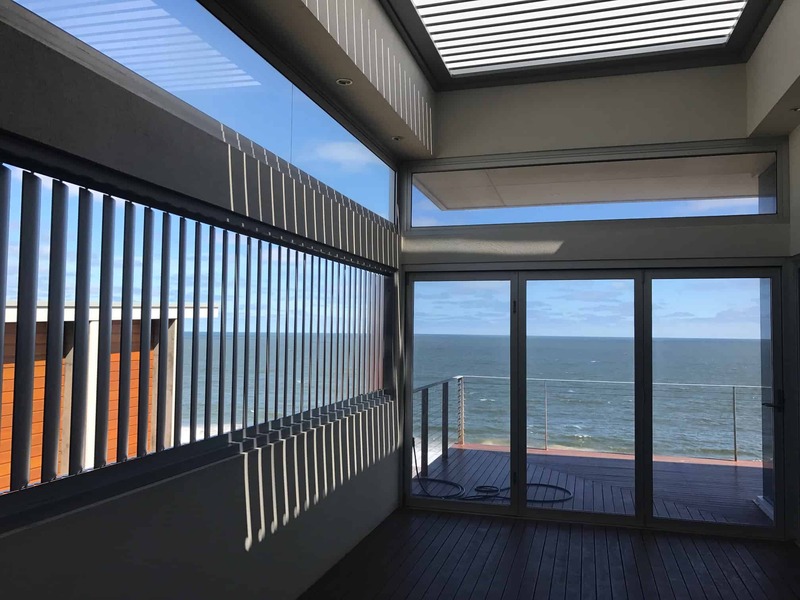 The sleek design and choice of finishes allow the Eclipse Flat Louvre Opening Roof to blend brilliantly with any architectural style.